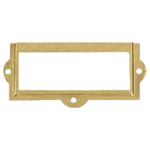 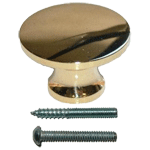 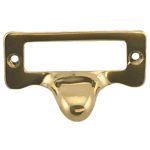 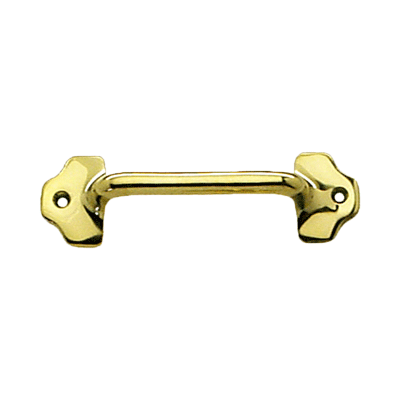 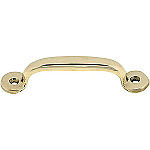 This brass drawer pull was traditionally used for Hoosier type cabinets. 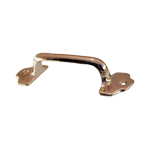 The pull also has the versatility to be used on file cabinets, kitchen drawers, sash windows and other applications. 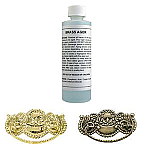 This item is $4.88 when your order exceeds $250 before shipping in qualifying items.